Churches committed to ministering to and with children and families are encouraged to join the Kids Friendly Network, a community of churches open to learning and sharing. Over 150 Presbyterian and Uniting churches have benefitted from the Kids Friendly Network since its establishment in 2004, by accessing advice, encouragement, resources and training from the Kids Friendly Coaches. Network members also receive regular newsletters alerting them to children’s ministry training events, new resources, ideas and stories. 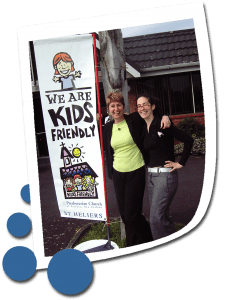 Presbyterian and Uniting Network Churches (NZ) can also opt to work to become a “Kids Friendly” church by reviewing their children’s ministry using our best practice resource “The Kids Friendly Self-review.” Becoming Kids Friendly is not a destination, it is about fostering a culture within your church that welcomes, nurtures and empowers children. The Kids Friendly Network offers a forum to receive expertise and encouragement from the Kids Friendly office and to share your stories and resources for the benefit of all those intent on ministering effectively to children and families. If you are committed to ministering to children and families, we would love to support you and encourage you to join the Kids Friendly Network. Over the last few years, there has been considerable and growing interest from other denominations or churches to learn from the Kids Friendly experience. Requests have been made to access our resources, coaching and training, leading the Presbyterian Church of Aotearoa New Zealand to invite other churches to join the Kids Friendly Network.